As the idea of sharing media from the internet and your computer to your home theater becomes mainstream, many people still don't know how to make it happen. Many are not familiar with the term,"network media player." To make matters more confusing manufacturers may give this device different names like "digital media player," "digital media adapter," "media player", "media extender". TVs and home theater components with added capabilities to find your media and play it, add more confusion. 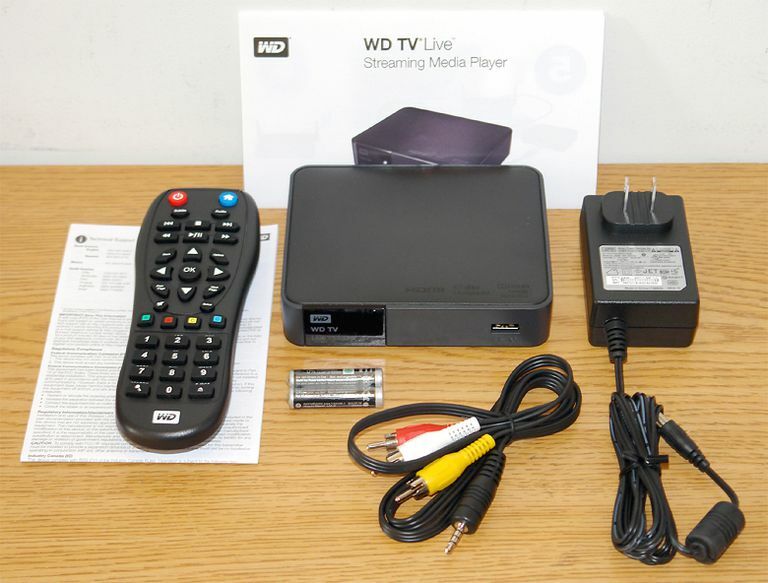 These home theater devices may simply be called a "smart TV", "internet-enabled Blu-ray Disc player, or "networked audio/video receiver"
While it is convenient to store your photos, music, and movies on your computer, it is not always the most enjoyable experience to share them while crowding around a monitor. When it comes to home entertainment, we usually prefer to be kicking back on a sofa, in front of a big screen, to watch movies or share photos as we listen to music on big full-range speakers. A network media player is one solution to make all this possible. Network -- You (or your internet provider) probably set up a “home network ” to enable all of the computers in your home to share one internet connection. That same network makes it possible to share files and media that are stored on one connected computer, viewing them on other computers, your TV or even your smartphone. Media – This is the term commonly used to refer to movies, videos, TV shows, photos and music files. Certain network media players may play only one type of media, such as music or photo image files. It is important to note that photos, videos, and music can be saved in different file types or “formats.” When choosing a network media player, you will want to make sure that it can play the types of files you have stored on your computers. Player – While the definition of a “player” may be obvious to you, it is an important distinction for this kind of device. The first function of a player is to connect to your computers or other devices and to play the media it finds. You can then watch what it is playing on a media renderer-- your TV screen and/or listen on your home-theater audio/video receiver. Network media players also stream music and photos from the internet, and some may also allow you to download content and store it for later access. In either case, you no longer need to browse the web on your computer to enjoy videos from popular websites like YouTube or Netflix; to hear music from Pandora, last.fm or Rhapsody; or to see photos from Flickr. Many network media players connect to these sites by simply clicking on an icon that it is able to display on your TV screen when that source is selected (or by the TV itself if it is already network-enabled). These set-top boxes connect to your home network, either wirelessly or ethernet cable. They are often small, about the size of a thick paperback novel. Compare these network media player devices with other home-theater components that have the ability stream media from your computers and network or from online. The network media player function can be easily built into a TV or other entertainment component. Among the devices that can connect directly to computers and networks are networked Blu-ray Disc players, audio/video receivers, TiVo and other Digital Video Recorders, and video-game consoles like the Playstation3 and Xbox360. In addition, via downloadable apps, media streamers made by Roku (box, streaming stick, Roku TV), Amazon (FireTV, Fire TV Stick), and Apple (Apple TV), can also perform network media player functions, such as accessing media files stored on PCs and media servers. However, keep in mind that also both network media players and media streamers can also stream content from the internet, a media streamer cannot download and store content for later viewing. Most of these devices connect to an Ethernet connection or Wifi. A network media player makes it pretty easy to share your media, whether from your PC or the Internet, on your home theater. Whether you choose a dedicated network media player device, or a TV or home-theater component that has these capabilities built-in to enjoy your media, be sure you have what you need to set up your home network properly to make it all work. However, it is also important to point out that while Network Media Players can stream content from both the internet and content stored on local devices, such as PCs, Smartphones, etc... a device that is labeled simply as a Media Streamer (such as Roku box), can only stream content from the internet. In other words, all Network Media Players are Media Streamers, but Media Streamers do not have all the capabilities that Network Media Player has. For more details on the difference between a Network Media Player and a Media Streamer, read our companion article: What is a Media Streamer? Original article ​written by Barb Gonzalez - Updated and Edited by Robert Silva.